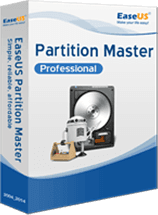 EaseUS Partition Master Pro 11.10 - The most popular partition manager software. The most popular partition manager software. The most popular partition manager software helps to make disk partitions and manage data storage space in Windows easily. Get a new disk and create partitions? Disk space runs low and you need to make room for more data? 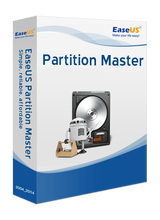 In a few clicks, EaseUS partition manager software partitions your hard drives in Windows ideally and improves the disk performance. It’s easy to keep your growing data well-organized in the limited disk space. When you try to access the data, it's faster to write and read small chunks of data on partitions rather than on one large drive now. More Managing Tools: SSD 4K Alignment; Support Command Line; Create WinPE Bootable Disk; Disk Optimizing Tool. Il programma costa $39.95, ma i vincitori del nostro concorso lo riceveranno gratuitamente. What's New in Version 12.10 : Resize/Move partition faster with better performance. Support to resize and move EXT2/3 partition. Best Windows system backup and clone software, helps to migrate OS to SSD or HDD or transfer OS from one SSD.